With veganism becoming increasingly popular nowadays, many folk on the vegan diet are in desperate need for quick and easy vegan recipes to accommodate their busy lifestyle. Fortunately over the past couple of decades an abundance of vegan recipe ideas and information has emerged to cater for the needs of this ever-growing veganism lifestyle. Below are some quick and easy vegan recipe ideas for your breakfast, lunch and dinners. Stir together in a bowl: 1 Cup flour, 1 Tbsp. sugar, 2 Tbsp. baking powder, and a pinch of salt. Add 1 Cup Soy/Rice/Coconut milk and 2 Tbsp. oil. Mix ingredients together until batter is smooth. In a hot, oiled frying pan, spoon in large spoonfuls of the mixture. Flip sides when bubbles start to appear (approximately 2 minutes per side). Add more oil to frying pan as needed. Serve pancakes with maple syrup, agave nectar, molasses, soy yogurt, fruit, berries, or another topping of your choice. For those who have a blender, making a breakfast smoothie is a super easy and quick vegan breakfast option. Simply blend together your choice of a mixture of the following ingredients: soy/rice/coconut milk, soy/coconut yogurt, berries, bananas, dates, raisins, maple syrup, molasses, agave nectar, cacao powder, grated vegan chocolate, flaked/slithered almonds, crushed brazil nuts, flax seeds, LSA mix, oats, ice-cubes. Serve in a tall glass. Cook tofu-nuggets in a hot oiled pan over high heat for 3 minutes or until golden and cooked through. Remove from pan. Next, stir fry (in peanut oil, for taste) some sliced carrots, baby-corns, snow-peas, broccoli or another vegetable of choice, on high heat for approximately 1 minute. Next add a few large Tbsps. (up to ¼ Cup) of vegetable stock liquid to pan, continue tossing vegetables, and cook for 3-4 minutes. Add tofu back to pan and continue to stir-fry for 1 minute more. Add salt and pepper, plus 1-2 tsp. sesame oil to taste. Eat alone or with rice or noodles. Cook your pasta and vegetables as per usual. To make a tasty vegan “white sauce” heat 1 Tbsp. olive oil/soy spread in a frying pan, plus 1 heaped tsp. plain flour or cornflour. Stir on high heat for 1 minute. Next, add salt, pepper and dried herbs to taste. Next, you will be adding your soy/rice milk to the mixture – a little bit at a time, stirring constantly. Once desired consistency has been achieved, turn off heat and taste to serve. Adjust seasonings as necessary. Serve on top of pasta and vegetables. Top with grated vegan “cheese” if desired. If you are sick of salads, maybe you should start to gourmet them up a little more. Nobody can get tired of eating a proper, sustaining and mighty-flavorsome salad. To make the Grandiose Garden Salad, add the following ingredients together in a large bowl: 1 large packet of spinach and rocket leaves, chopped vine-ripened tomatoes or cherry tomatoes, a few spoonfuls of finely chopped sun-dried tomatoes, pitted olives, 1-2 chopped avocados, 1 finely sliced large cucumber, 1 cob of corn (either cooked or raw) – kernels removed and added to salad, ½ very thinly sliced red onion, tinned baby beetroot, and ½ cup of walnuts. To make the dressing, add together 2 Tbsp. olive oil, 1-2 tsp. lemon juice or balsamic vinegar, salt and pepper. Gently stir dressing into the salad. Enjoy the salad by itself, or with some toasted sourdough bread. The above recipes are merely samples of some of the many thousands of ideas for quick and easy recipes for the vegan diet. 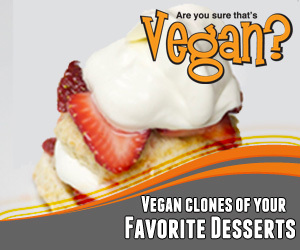 Get more vegan recipe ideas and information at ” The Vegan Diet [http://www.fortheloveofrawfood.com/#!the-vegan-diet/c18xo]: Save Our Planet – Lose Weight – Glow With Health” for further information on the vegan diet. Find out the amazing health benefits of the vegan diet, why weight loss is so easy on this lifestyle, where to get your vegan recipes from, recommended vegan recipe e-books, and what to do if you are unsure about going vegan! Alternatively, read about the raw food lifestyle at [http://www.fortheloveofrawfood.com/] for great information and ideas on raw food recipes and weight loss on the raw vegan diet!